Damage from oxygen radicals caused by environmental pollution, cigarette smoke etc. Anti aging medicine demonstrates strategies to retard biological aging. To maintain your efficiency, health & vital­ity and your mental & physical fit­ness into old age. indicates your per­sonal vital substance ­s­ta­tus, with sub­sti­tu­tion by supplements until the per­sonal micro­nutrient requirement is reached. hormones based on your personal hormone formula. 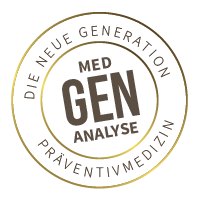 The results are integrated in your personal anti aging Programme. Holistic treatment with support & realization by our team of internal medicine, orthomolecular, phytotherapy & hormone specialists, nutrition & sports medicine. Hormone therapy consists of both pure natural hormones and always a personal, individual solution – your personalized hormone dosage. Natural hormones are substituted only after a detailed hormone diagnosis & blood analysis by the doctor. Hormone therapy is always administered under regular medical supervision. Supplements of vital vitamins, trace elements, enzymes & minerals in small quantities keep the organism alive. The medically prescribed, personalized micronutrient requirement fills up your empty tanks of vital substances and is VALUABLE health protection. The vital substance supplements can certainly be administered alongside conventional medication during illness to give powerful support. Vitamins A, C and E and the trace element selenium are particularly versatile. These antioxidants are able to capture free radicals, which has the benefit of counteracting hardening of the arteries, cell degeneration and age spots. Vitamins E and C prevent harmful LDL cholesterol from oxidizing and being deposited on vascular walls. Magnesium is an important aid in many metabolic processes and a supplement to many cardiovascular drugs. The active substances zinc & chromium promote glucose utilization and protect the cell membranes from saccharification. The holistic full blood analysis & vital substance status is an essential pillar of anti aging medicine. The dosage is then based on the results of the full blood analysis & the personalized micronutrient requirement from your MED GENE ANALYSIS. During the personal consultation with our orthomolecular medicine specialist. Having healthy gut bacteria is of the greatest importance for the digestion, the supply of many vitamins and above all for the function of the immune system. The healthy gut bacteria are called intestinal symbionts. These “healthy little helpers” live in harmonious interaction with humans. The colon is often called the greatest personal defence organ available to humans. The organism can undergo numerous reactions in the colon among billions of microbes. It converts unwelcome bacteria flora into useful symbionts. The valuable and effective immune behaviour is continuously activated in the healthy organism. The human gut bacteria in a healthy, constructive composition are called eubiosis. Significant variations are called dysbiosis. By oral administration of suitable healthy intestinal bacteria – symbionts in dysbiosis, we achieve restoration of the intestinal flora back to healthy gut bacteria by substitution. Symbiosis control is supported here by healthy wholefoods. The success of the treatment is checked by the internal medicine specialist by regular microbiological stool sample Tests.